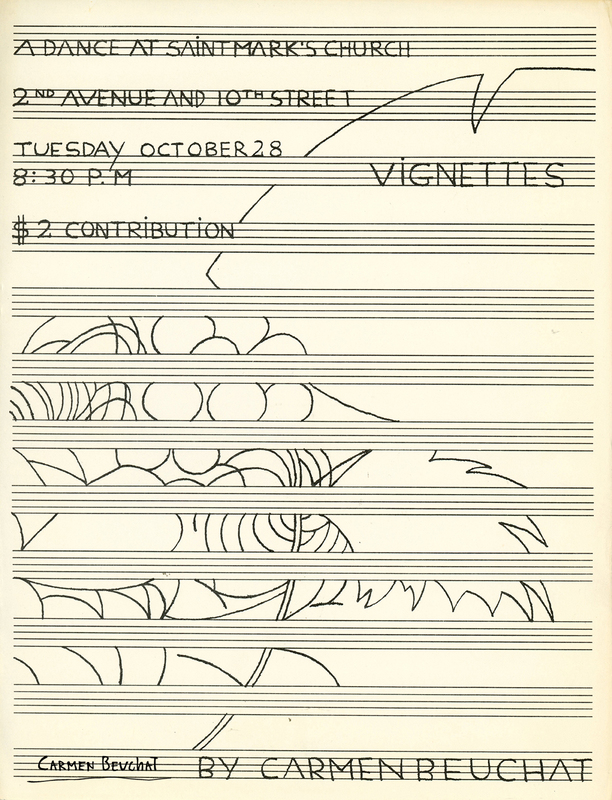 Poster of Carmen Beuchat´s performance “Vignette”, presented at Saint Mark´s Church, New York. The poster has a drawing made on paper used for musical notation. Physical Description: Poster 28 x 21,7 cm.